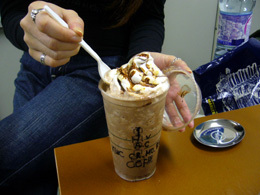 I am not good at ordering at STARBUCKS COFFEE because there are so many ways to customize, and it bothers me. Well, I am not the only one. 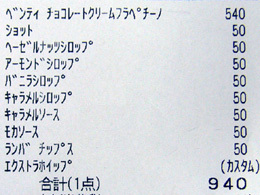 This Japanese man who is uncomfortable with ordering at STARBUCKS challenged to customize the most complicated and long-named coffee. I told the baristas about my challenge, and they taught me how to customize. 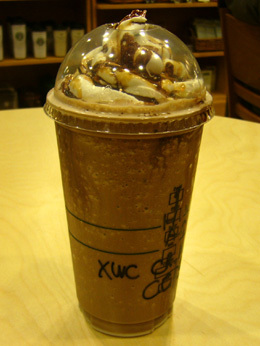 Their base-drink includes Cafe Mocha, Caramel Frappuccino and Rhumba Frappuccino. They politely told me some tips to make the order as much as possible. 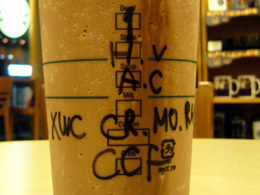 With the baristas’ help, I composed the seemed-to-be-the-longest-named drink, and I ordered. The barista bar got busy… while making other customers’ coffee, two baristas were making my crazy coffee by checking carefully if nothing was missing. – That’s the one! My order! four different syrups and two different sauces and Rhumba chips!! Look at all these marks! It’s usually a couple. I added all kinds of things but how is the taste? No matter how many things you add, it doesn’t get weird. It’s good. It’s kind of hard to eat. 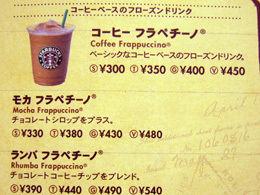 It was 940 yen (540-yen Venti Chocolate Creme Frappuccino plus eight 50-yen additions). The reporter feels like he knows much better about ordering at STARBUCKS. It was an interesting challenge. 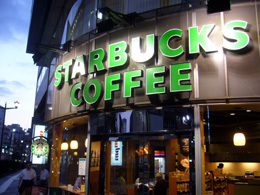 How is the STARBUCKS in your country like? 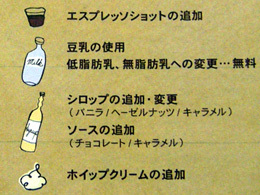 What Kind of Music Harajuku Youngs Listen to?